TonesTaxis Webpage is 1 Year Old! It’s 2017, almost 7 months since I have updated the website and it’s been 1 year since I launched the website! 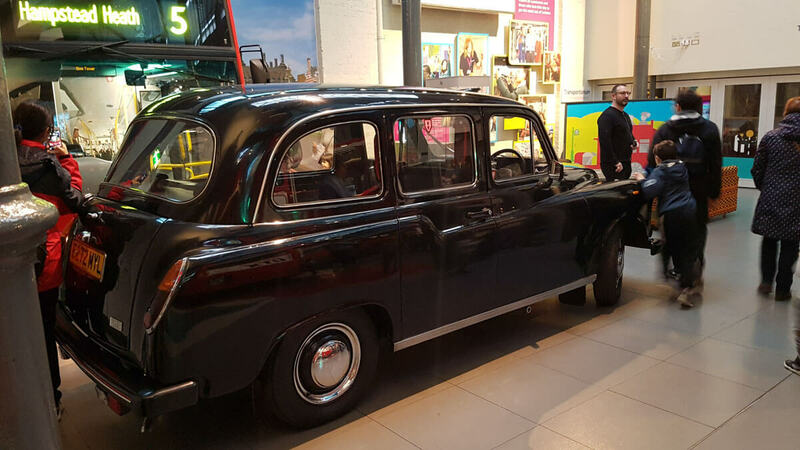 Yesterday I was in the London Transport Museum and happened across a fine example of an FX4S (the model which evolved into the Fairway in 1989). This, along with a reminder email from my hosting provider telling me I have ‘auto-renewed’ my hosting for a year, makes me think I should pop a quick post up to let you know what is happening over this year with regards to the taxi. The main reason there hasn’t been any activity on the website since the end of summer 2016 is due to the fact I’ve purchased a house and I’ve spent the time renovating it. Unfortunately, the Fairway has had little attention over that period and whilst it is still on the road (MOT’d etc) I haven’t had many chances to use it. To be honest, I don’t really like taking it out in the winter months anyway as the grit and mud tend to exacerbate any niggles which ultimately means I have to clean it every time I go out. The new property has a detached garage with an inspection pit which is going to be great for doing some underbody work to the taxi. I can’t wait to get started, however it’s likely to be April or May before I bring the Fairway over as the garage and pit needs some attention, as does the driveway. Hope to bring you some updates towards Spring and hopefully some new adventures for Summer!